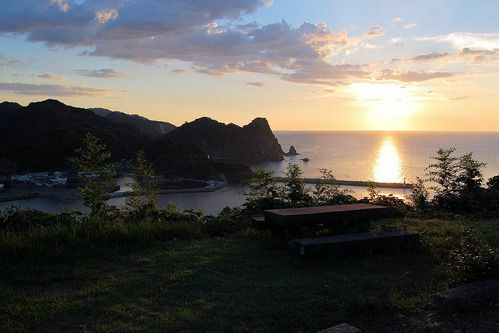 Shiroyama Park provides the perfect spot for viewing the beautiful ports and the Sea of Japan. From Ashiya hillside to the Shiroyama Park, the path is filled with cherry blossoms in spring with the sea as stunning backdrop. Shiroyama Park has inspired artists and writers, such as Okagaki Tetsuji and Maeda Sumitaka. There are now monuments and a walking path with a statue honoring Kato Buntaro. The view of the sun setting over the sea is not to be missed.